Kerr & Co provide an unparalleled service when it comes to New Homes, be it large scale schemes of multiple units to single one off sites. Our expertise offers a combination of decades of local experience, unbridled technical knowledge and an expert understanding of the local area. Our New Homes team can advise both large scale and individual property developers on new build, refurbishment and rebuild projects, be it for acquisition, planning gain, specification of the finished product or packaging the scheme for investors or home owners. 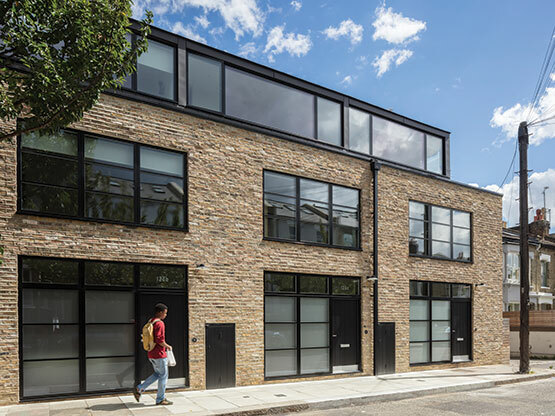 The Old Laundry, Jeddo Road W12: Kerr & Co introduced a developer client to purchase the site and advised on all aspects of the scheme from planning to the final finished. We then sold all 9 residential units. 103 – 105 Goldhawk Road W12: Kerr & Co were involved in sourcing and securing the site for a developer client and then advised on all aspects of the scheme from planning to the final finished. We successfully sold all 8 residential units and have subsequently rented out three of the units for the new owners. 6 Cathnor Road W12: Kerr & Co introduced a developer client to purchase the site and advised on all aspects of the scheme from planning to the final finished. We then sold all 4 residential units and have subsequently resold two of the units with another two currently available. 5 Cathnor Road W12 Road: Kerr & Co sold the property, which was already arranged as three flats to a developer. We then assisted the architect including getting a roof terrace and planning consent as well as advising the final finished. We then sold all 3 extended residential units. Townhouse Mews, Goldhawk Road W12: Kerr & Co came on board after other agents had marketed the scheme of 11 modern townhouse and apartments. We successfully sold and rented 7 units that the developer released to the market. Harlequin House, Coningham Road W12: A selection of 16 one and two bedroom flats which Kerr and Co let and manage for the developers.